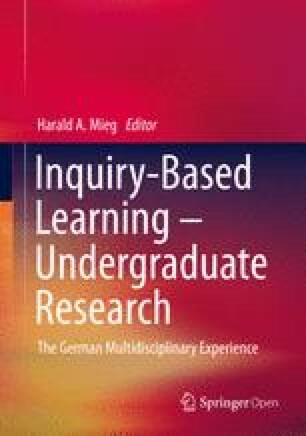 First of all, the bad news: Higher education research has not yet precisely determined how widespread inquiry-based learning is at German institutions of higher learning. Empirical surveys of this issue are lacking. Nevertheless, there is extensive literature on the subject. The literature comprises two types of texts: conceptual clarifications and models of inquiry-based learning on the one hand, and exemplary case studies on the other.